The Post Office Museum in Ataba Square is often overlooked, but it offers visitors a journey back in time and plenty of hidden treasures from Egypt's past. In the busy district of Ataba Square, a few meters away from the Opera parking garage, the Egyptian Post Office Museum is hidden on the second floor of Cairo’s Postal Office Building. There isn’t a single indication that it might be home to a museum, not one single sign announcing its existence. At first, one might be confused by the building’s two main doors; the loud voices and long queues at the door do not lead to the museum itself, but it is where you need to go to get a ticket before entering from the other door. The museum is located in a somewhat detached part of the building, past a number of administrative offices. Once you present a ticket (LE 4 for Egyptians and LE 10 for foreigners), a gentleman guides you to an antique elevator with forged iron and carpeted in red velvet featuring two emblems: one of King Fouad (King Farouk’s father) and the other a three-star emblem of the old Egyptian flag. 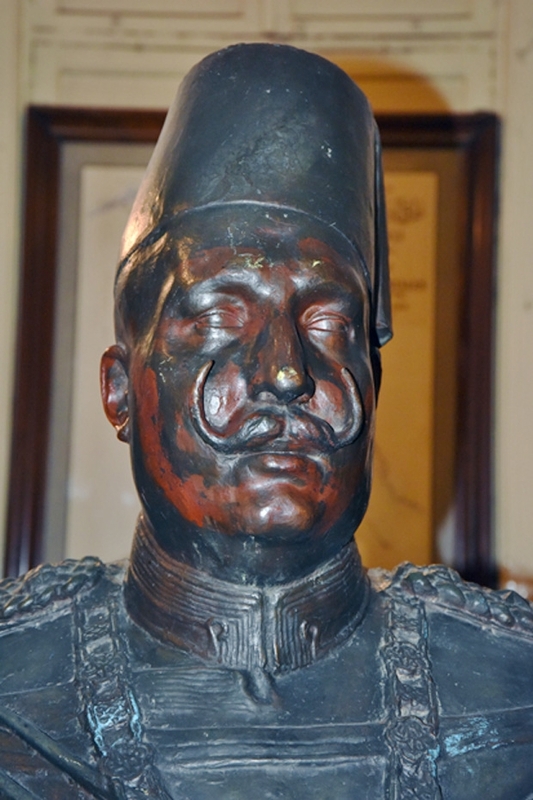 Once the elevator stops and the door opens, visitors are greeted by a bust of King Fouad in ceremonial uniform standing in the middle of the hall. In 1934, King Fouad (1917-36) established the museum only two years before his death, to be open for the public in 1940. Historians claim that Fouad was an enthusiastic stamp collector and most of the European stamps existing today at the museum were actually from his private collection. The museum consists of two main rooms. The first room is dedicated to the history of the Egyptian Postal System, including the history of the Pharaonic, Roman, Ptolemaic, Arab and Modern age postal system, different means used to transport post and how it developed through the years. 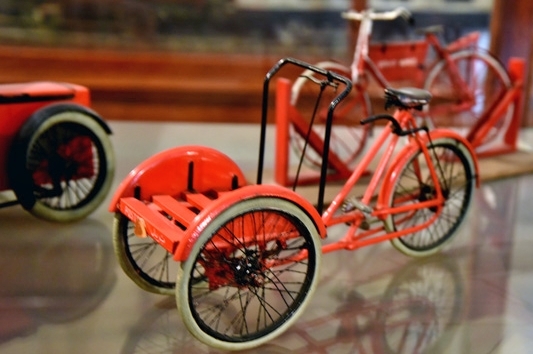 The process of postal distribution is visually explained by exhibits of different transportation methods used along the years. From camels and horses, helium balloons and carrier pigeons, horse-drawn boats, feluccas to wheels, motors, trains and ships. Glass cases display miniature scenes of the post distribution process since Ancient Egypt, and models of post offices in different Egyptian cities such as Damietta, Upper Egypt and Alexandria. On display are countless bright red and blue letterboxes, usually seen on Egyptian streets from the 1920s until the 1960s, original post office uniforms worn by Egyptian postmen around the same decades in addition to replicas of post office uniform worn in Roman times, and leather mail bags. The museum’s guide explains that during King Fouad’s era (the 1930s), new printing techniques were introduced and the first Arabic stamp was both made and printed in Egypt (before that stamps were printed in Europe). In addition, Egypt witnessed a massive development in the telegraph and postal services related to the transportation sector, such as railway and airway. “It is one of the main reasons Fouad established this museum. He wanted to make sure history was not stolen,” the guide adds. The Pharaonic post system dates back to 2000 years BC. Ancient Egyptians were the first to establish an organized postal service. The museum portrays some copies of the group messages found on clay in a Tel Al Amarna tomb in Upper Egypt. The letters convey political messages exchanged between Amenophis (1364 BC) and Akhnaton. The guide explains the job of a postman during Pharaonic ages, “they traveled along the Nile to deliver post and important messages of the kings which were usually delivered at night in iron boxes and safeguarded by a small entourage. In the Ptolemaic era, horses were the main means of transportation. Top officials were in charge of letters of the kings. On the other hand, pedestrian postmen were in charge of letters belonging to the public. Communication and transportation have always been linked to each other. In Egypt, the postal system was established as a private enterprise under the Ottoman Empire. In 1820, Italian businessman Carlo Meratti founded Posta Europea. His successor, Giacomo Muzzi (whose desk and chair are on display in front of a stamp tapestry at the museum), took over Posta Europea and used the government’s railway system to transport post. 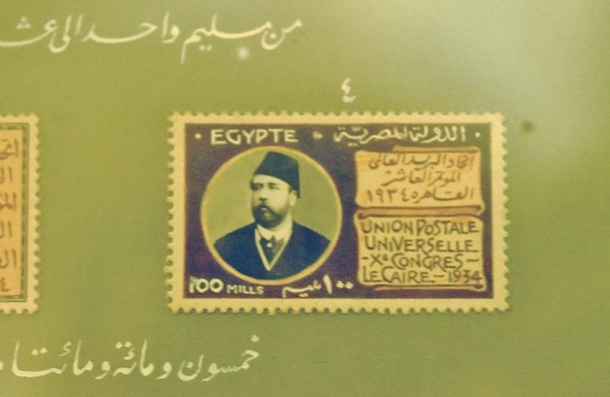 Later, during Ismail Pasha’s era, Posta Europea was bought by the Egyptian government; Muzzi was given the title ‘Bey’ and was its first postmaster director. 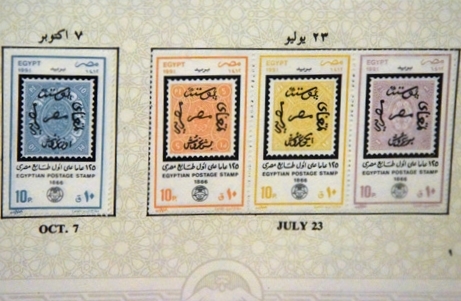 In 1889, the company issued the first Egyptian postal stamp. The second room includes a large portrait of Muhammad Ali Pasha, King Fouad, King Farouk and a small portrait of Rowland Hill, the inventor of the postage stamp. A stamp mosaic made from 15,000 identical stamps is also on display, each postmarked stamp depicts a pyramid and the Sphinx. In addition, visitors can look at a large collection of stamped envelopes from different countries including Venezuela, China, India, Spain and Italy. Last but not least are the stamps issued to commemorate King Farouk’s coronation and the first Egyptian stamp collection (1867-69), with various Islamic and Coptic designs. 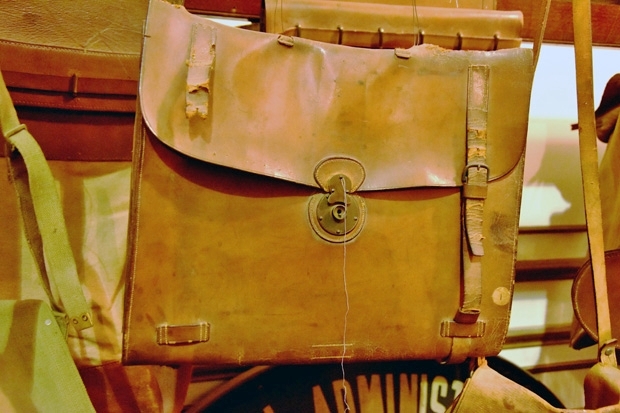 The Post Office Museum is open Sunday-Thursday from 10am to 3pm. For more information call 2391-3128.